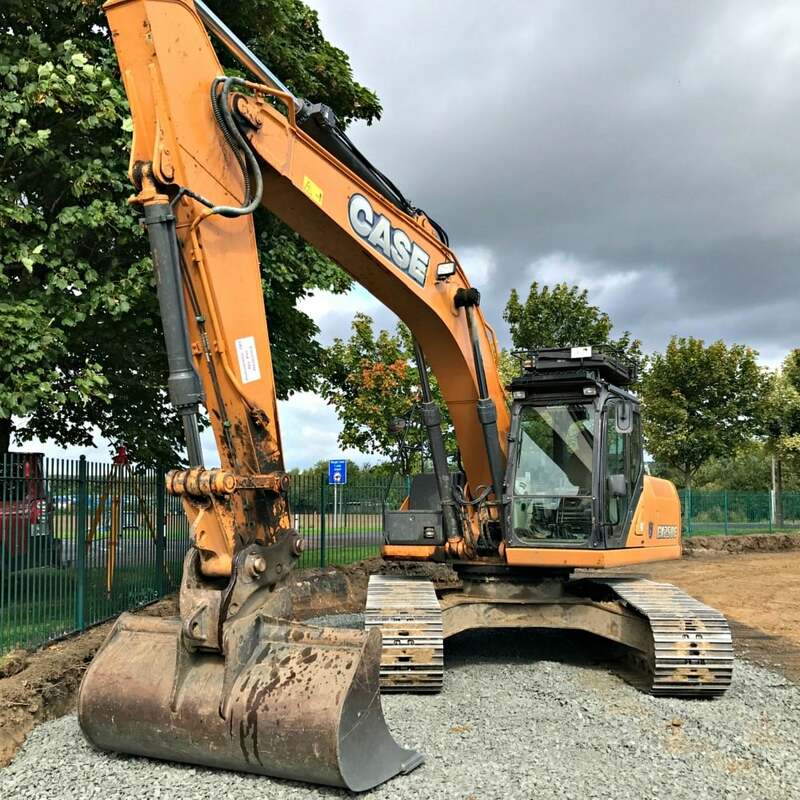 This hydraulic excavator uses clean and efficient Tier 4 interim diesel engines and is equipped with Cooled Exhaust Gas Recirculation (CEGR) and a diesel particulate filter meaning the engine is capable of meeting emissions regulations without the need for additional diesel exhaust fluids. The automatic self-regeneration of the Diesel Particulate Diffusor (DPD) ensures no loss of productivity, while low engine rpm, improved hydraulic pump control and five new energy saving systems boost fuel economy by up to 10%. Fitted with a 900mm grouser shoe this machine is suited to working on softer ground as it exerts a low ground pressure of 0.034. The 5.85m standard boom and 3.52m arm means this hydraulic excavator can dig to a maximum depth of 7420mm and has a maximum reach of 10790mm.